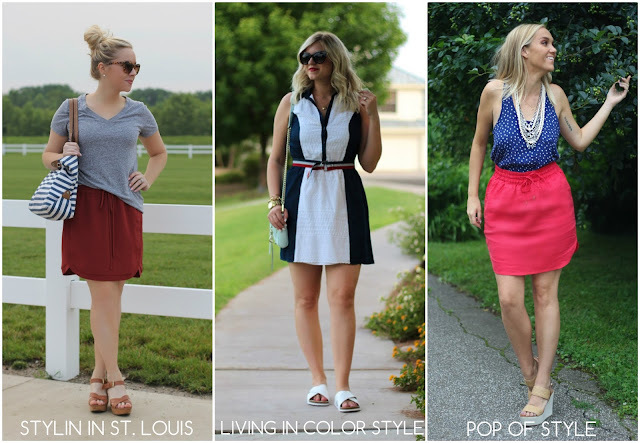 Living in Color | A Life & Style Blog: Spotlight Weekly Link-Up | Week 96: Red, White, and Blue + Giveaway! 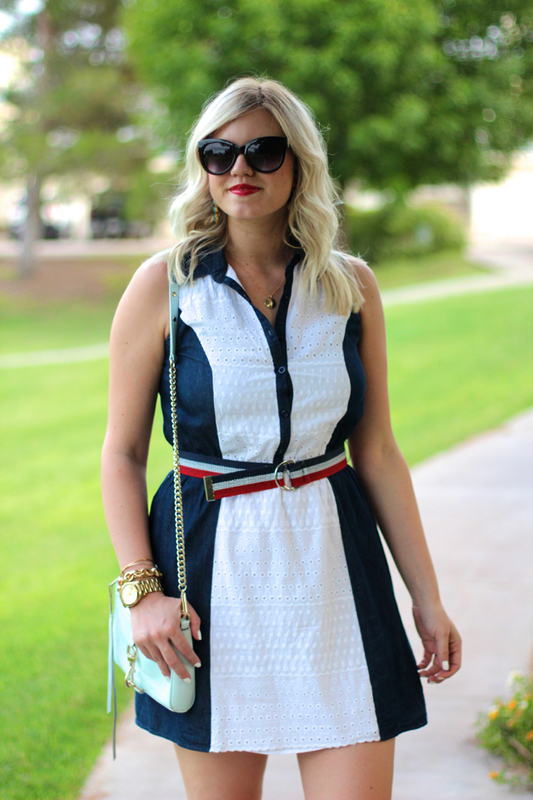 Spotlight Weekly Link-Up | Week 96: Red, White, and Blue + Giveaway! My necklace is a hand-stamped personalized piece from Jenny Present! The chain detail on it is super unique, and I love their tagline: "More than just an accessory; jewelry that tells a story" :) As a new mama, I absolutely adore wearing my sweet babe's name on my necklace! It reminds me of the day of her birth, which was one of the happiest days of my life! Here's a closer picture below... The cool thing about this line is that celebs love it too! Giuliana Rancic (i'm a huge fan!) wore this necklace with her sweet new babe's name on it. 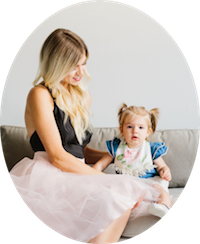 If you're a mama or know someone who's going to be soon, check out the Proud Mama collection at Jenny Present! Lots of great gifts there! 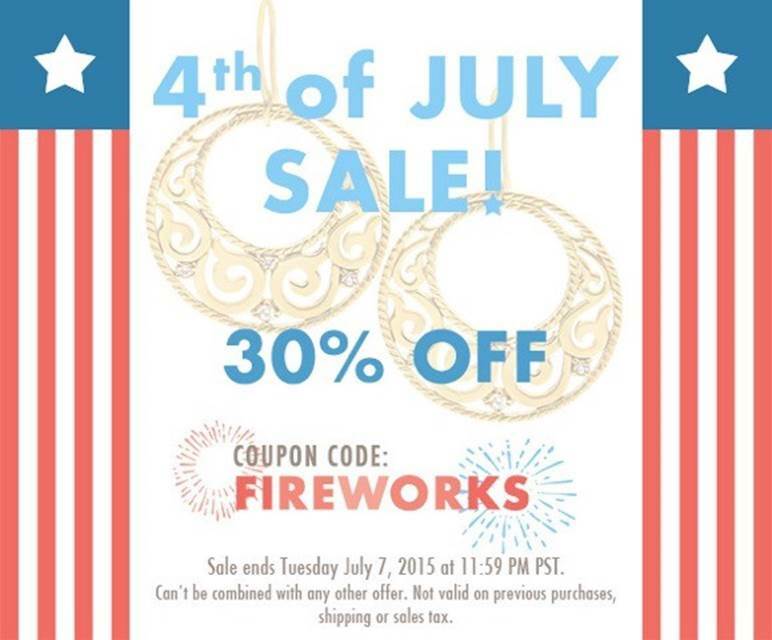 See the graphic below - they are having a Fourth of July sale and they're also offering Living in Color readers 20% off with the code BIGFAN. Not interested in buying today? That's okay cause I've got a fabulous giveaway for you! Since you guys are my favorites, I asked to team up with Jenny Present to give away one of these necklaces you see above! If you don't have a baby don't worry! You can get your name hand-stamped on it or the name of your significant other! I love my puppy so much, I'd probably get his name on there if I didn't have a baby now lol. See giveaway details below! Giveaway runs until July 10th! Open to U.S. only! This week's spotlight is Amy of Straight A Style. 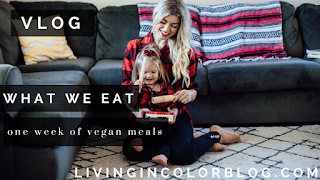 She is one of our favorite bloggers! Make sure to stop by her blog and say hello! NEXT WEEK: Next week we are styling looks featuring your favorite accessories! Thanks so much for linking up each week! xo. So fun! You look amazing! Looking beautiful and stylish in this blue-white-red combo! 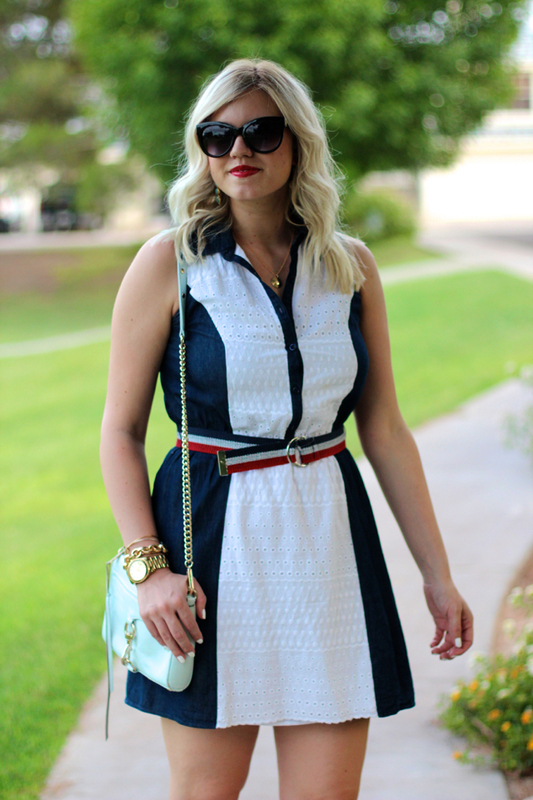 What a pretty eyelet shirtdress! Very cute! Thanks for hosting the linkup! So so cute. I love that dress! Aren't those Target sandals amazing?! I have the same pair, and I cannot stop wearing them. Thanks so much for featuring me. You all are so nice! You are always so stylish and chic! Love this great 4th holiday combo with the sandals and Amy Ann is killing it in her culottes! Gorgeous dress! Perfect for the 4th!